Peter has extensive experience with internet technology and location and context aware systems dating back to the 1990’s. The experience includes implementation of an IR and RF based location and context aware computing system, implementation of ultra low power wireless telemetry for precision agriculture systems including ad-hoc network formation. Peter has designed and implemented a number of wireless embedded system products. Peter is the recipient of a Motorola SABA award (top 5% of engineering talent in the company globally). Peter has been a member of the Australian Research Council Expert Advisory Panel on Maths and IT and the author of numerous technical papers. 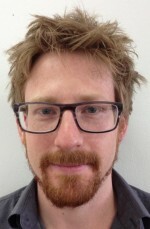 Peter was a director of the Smart Internet Technology CRC and the Microtechnology CRC and is a director of WorXpace Pty Ltd and Solar-Gem Pty Ltd. Peter is the recipient of an Australian Design Award for Solar-Gem and the inventor on a number of international patents. A successful entrepreneur, investor and industrial marketing executive, Mr. Strong has spent two decades starting and building internationally-focused emerging technology companies targeting Global Fortune 500 customers. Prior to joining LoneAlarm Pty Ltd., Ned had spent ten years as a ‘hands-on’ angel investor, interim manager and corporate advisor for Australian and U.S. companies. From 2005 to 2010, he was founding CEO of Cavitus Pty Ltd., a high-power ultrasonics company in the Food/Agri-tech sector, successfully introducing proprietary technology to the likes of ADM, Friesland-Campina and Pepsico. Earlier, Mr. Strong served as a Non-Executive Director for publicly-listed Lake Technology, supporting its strategic partnership with Dolby Labs (NASD), which later acquired the business. From 1996 to 1999, he co-led a venture capital-backed buyout of the $500M (sales) Australian IBM manufacturing business through Bluegum Group, thereafter serving as its EVP of Marketing, Sales and Alliances, prior to Bluegum’s successful sale to EMS company, Solectron (NYSE). Early in Ned’s career, he was employed by Gemini Consulting/E&Y in the strategy practice, as well as by IBM’s Silicon Valley-based telecom business, ROLM, in international product marketing, sales and manufacturing roles. Mr. Strong holds an MBA from Columbia University, an M.Phil (International Relations) from the University of Cambridge, and an A.B. (Honours and Distinction) from Stanford University. 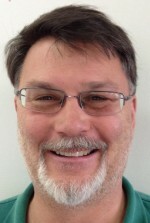 Joseph has over 20 years of experience in technology development. He was founder and owner of DSP Media Pty. Ltd, and has held positions of Managing Director, Technical Director, CTO and COO. After a short period as COO at AV Media, he co-founded Smart AV where he was Managing Director during the start-up phase, and was CTO for 9 years. Winner of many design and international product awards, including two Australian Design Awards. Joseph pioneered audio and video hard disk recording and mixing in the early 1990’s leading to one of the world’s first totally integrated Audio Post Production systems the “DSP Postation” released in 1998. Continuing with innovation, he also created the revolutionary Smart Console a patented “small footprint” large format audio mixing console released in 2004 and it’s little brother the Tango, a large format touch screen based digital audio workstation controller. 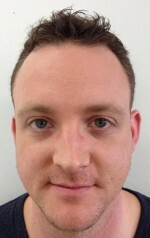 James has been a software development engineer for over five years. His career began as a teacher at the Academy of Interactive Entertainment in both Canberra and Sydney. From there James went on to be affiliated with a variety of independent game companies where he developed for platforms such as PC, Mac, iOS and Android. 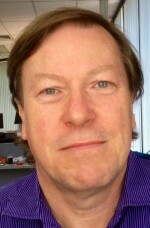 Most recently James was employed by the University of New South Wales to produce an educational video game for the purpose of teaching economics. 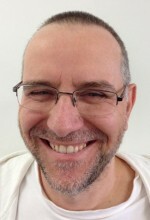 Throughout his years of experience James became very familiar with the Unity engine, earning him the title of “That Unity Guy” at IGDA Sydney events. For the last two years, James has worked on a variety of projects which has expanded his expertise beyond that of video game development. From Bluetooth communications, to augmented reality headsets, to REST API driven servers, James enjoys the challenge of tackling any new technology that gets thrown in his direction. Daniel holds a B.E. (Hons) from the University of Canterbury and has experience in both electronics and software design. Daniel spent over a year developing database driven gym solutions with Treshna Enterprises in Christchurch and gained experience applying software engineering principles to scalable solutions. Daniel has been an Embedded Systems Engineer at WorXpace for over 2 years, developing electronics (predominantly embedded), embedded software and mobile applications targeting the Android platform. Recent projects include Bluetooth 4 based wireless security system, Bluetooth 4 based multi-meter, geotechnical electromechanical system, HDMI-CEC injector and electromechanical pool safety system.